Atlanta Metropolitan State College (AMSC) has four academic divisions: (1) Science, Math, and Health Professions, (2) Business and Computer Science, (3) Humanities and Fine Arts, and (4) Social Sciences. Each division is headed by a Dean, who, with the assistance of department heads, is responsible for the administration and management of the academic division. Deans report to the Vice President for AcademicAffairs, who in turn reports to the President of the College. There are five Vice Presidents (VPs) of the College, one for each of the following areas: (1) Academic Affairs, (2) Fiscal Affairs, (3) Institutional Effectiveness, (4) Institutional Advancement, and (5) Student Affairs. 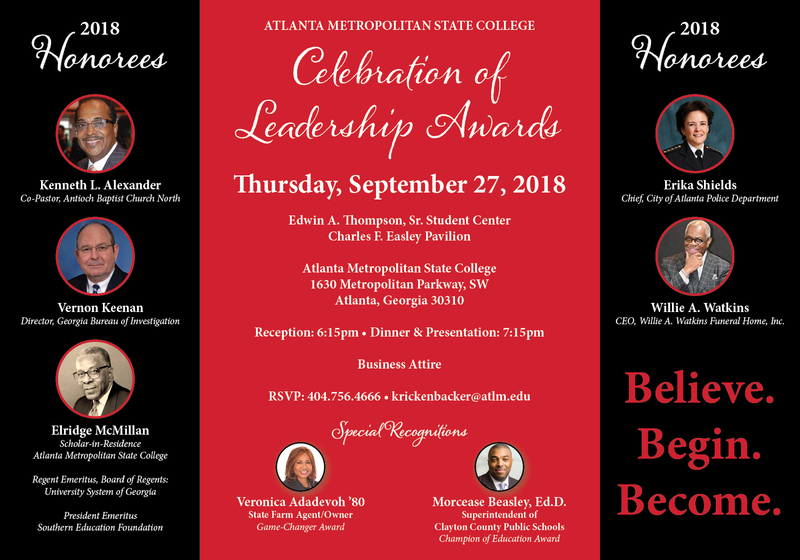 The governing body of Atlanta Metropolitan State College is the Board of Regents of the University System of Georgia.